melbourne, australia is crisscrossed with tram lines. 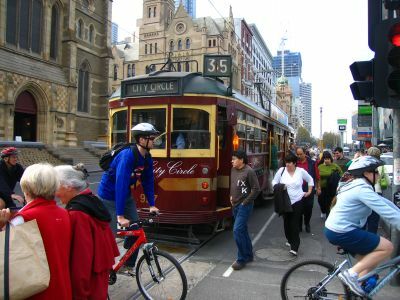 the city circle tram takes you on a free ride around the beautiful city. come on and take a free ride, yeah, yeah, yeah, yeah! 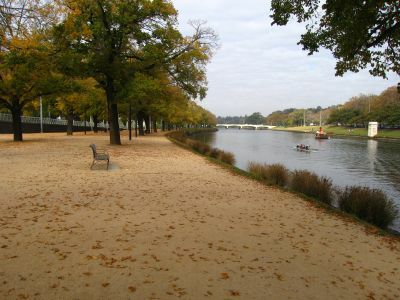 the yarra river winds through downtown melbourne. even in the australian winter the crews still row their racing boats down the river. 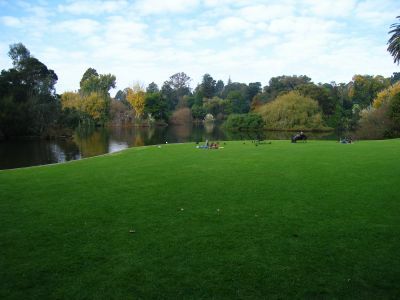 the botanical gardens cover a massive amount of land just south of the yarra. great spot for a picnic. 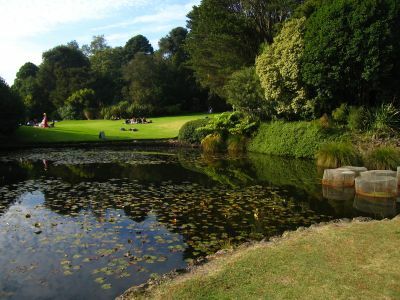 ponds in the gardens bring in the crazy birdlife - you hear bird calls in oz that you've never heard anywhere else. 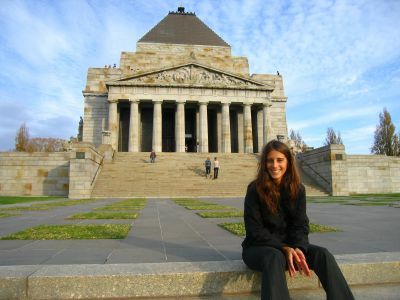 ...she sat on the steps while i took hers. how about that? 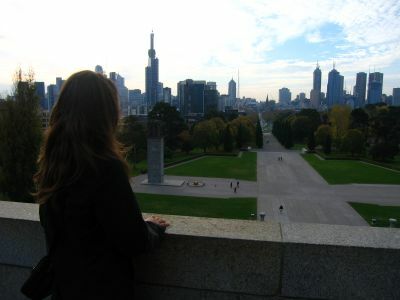 manuella takes in the view of the melbourne skyline from atop the shrine. she restores paintings in rome for a living. 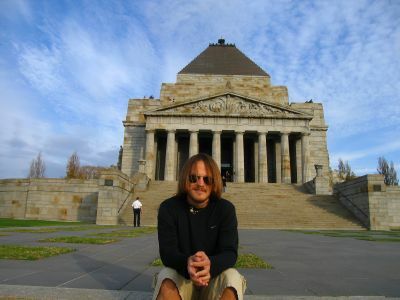 i don't know why i just told you that - i guess it just struck me as really cool. 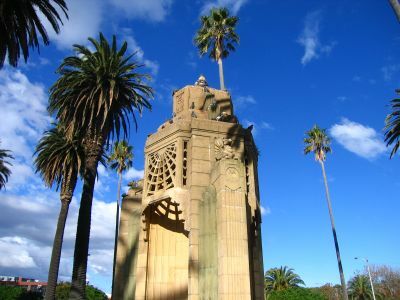 st. kilda is one of the many funky cool neighborhoods in melbourne. there are lots of these things there. surrounded by palm trees. 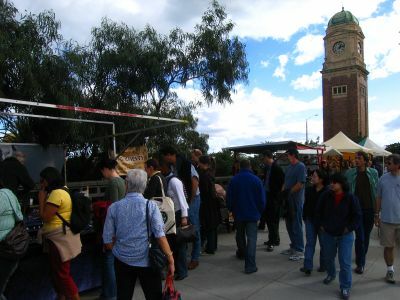 along the oceanfront on saturdays st. kilda hosts stands at which local artisans hawk their wares. it's in places like these that girls like mary (dark green shirt, 3rd from the left) don't find the ring they want.